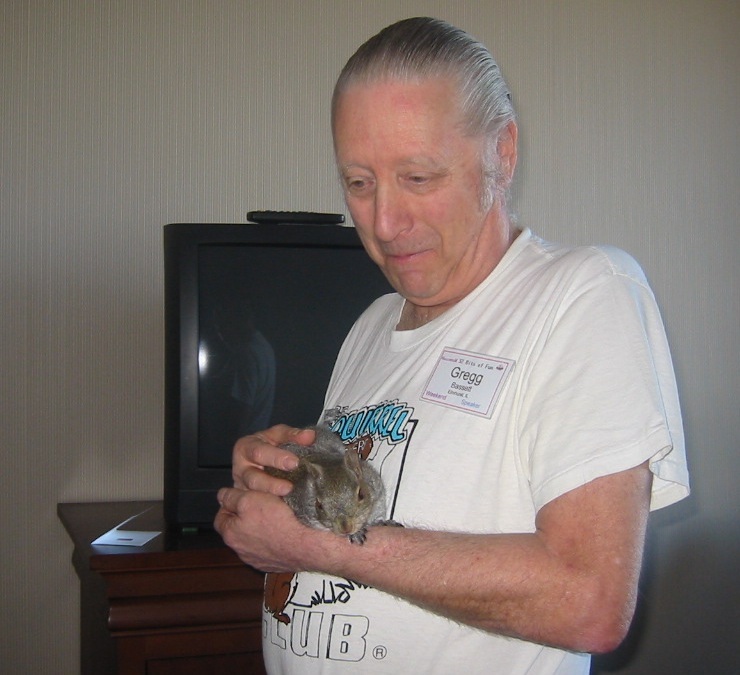 We are sad to note the passing of Gregg Bassett, a long-time member of Chicago Area Mensa and president of Squirrelly Productions (home of "The Squirrel Lover's Club"). Gregg enlivened many a WeeM with his often standing-room-only presentations on squirrels, including their antics in the wild as well as those of Happy, the squirrel he rescued and cared for and who accompanied him to the presentations to the delight of the audiences. 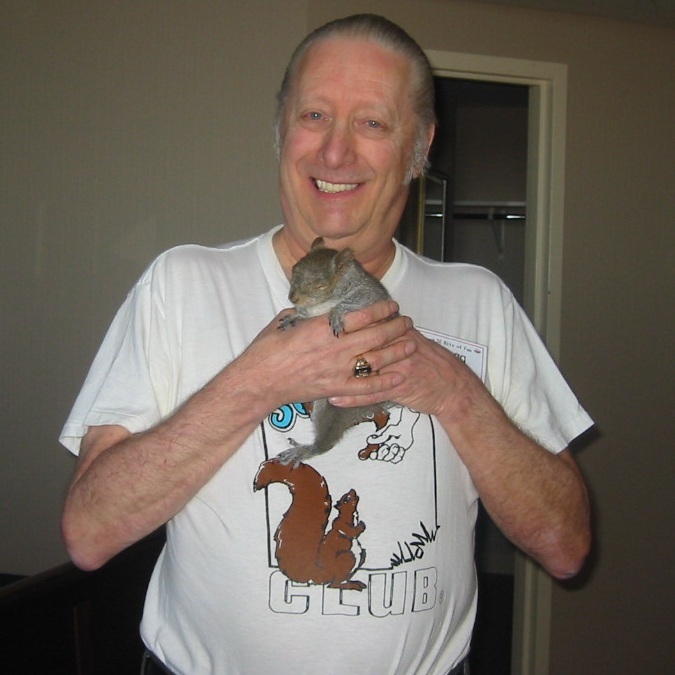 In his words, squirrels are "the Mensans of the Animal Kingdom." Gregg Bassett, 65, of Elmhurst for over 20 years, beloved husband of Kathy. President of the Squirrel Lovers Club. Visitation at Ahlgrim Funeral Home, 567 S. Spring Road, Elmhurst, from 3 to 9 p.m. Wednesday. Services 11 a.m. Thursday, October 9. GreggBassett.php last updated January 27, 2019.